It moisture and soothes dry lips. This Lip Balm contains fresh and sweet Narangi Juice and Almond oil to protect your lips. Due to its extraordinary moisturizing and hydrating properties it seals in moisture and soothes dry lips leaving them soft and glossy. 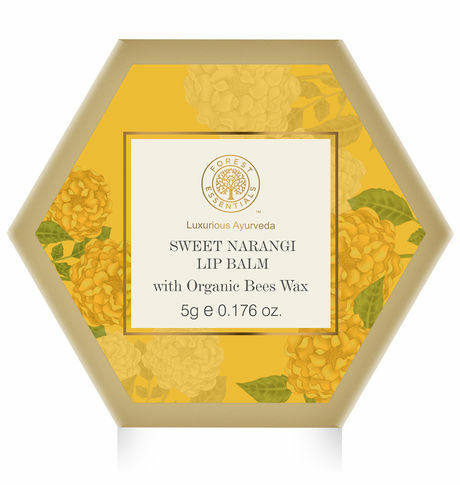 This Sweet Narangi Juice Lip Balm is uniquely designed to replenish and soften dry, chapped lips. Free from synthetic chemicals and petroleum products this Lip Balm contains Narangi Juice and Almond oil to protect your lips. Due to its extraordinary moisturizing and hydrating properties it seals in moisture and soothes dry lips leaving them soft and glossy.